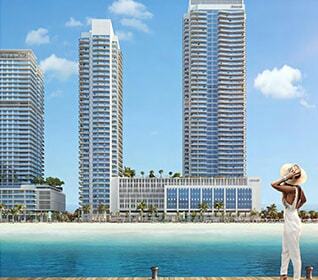 Emaar Beach Front is a new residential project launched in Dubai Harbour-the new maritime epicenter of UAE. 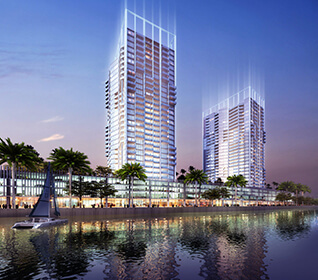 The project will be completed in mid-2021. 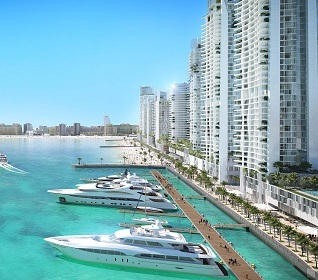 The exact address is Logo Island, Dubai - UAE. 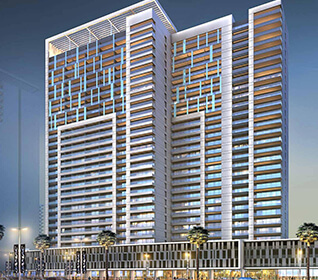 The scheme has 1, 2, 3 and 4 BHK luxury apartments hosted in 27 exceptional towers providing impressive views of Dubai Marina and Arabian Gulf to the residents. 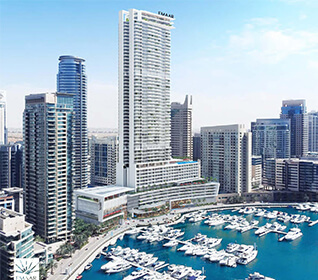 Dubai Marina and Sheikh Zayed Road are connected to Emaar Beachfront to provide quick access to the rest of the city. 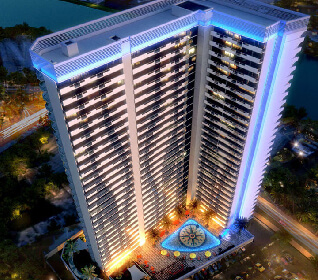 The residents will enjoy the Miami lifestyle with every facility at their doorstep. 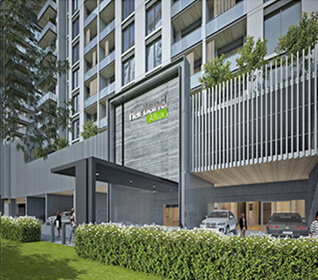 A concourse across the community has the retail outlets and excellent dining options to entertain the inhabitants of the buildings. 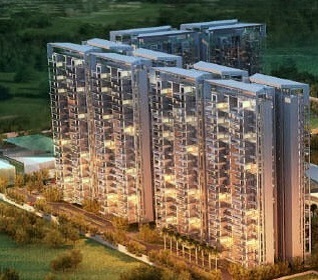 The beaches around the complex offer beach sports and resort facilities to the persons living there. You can relax and unwind after a busy day schedule or stretch your body to feel rejuvenated. 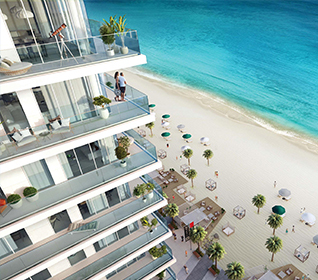 The floor to ceiling windows provides beach view and all luxury inside the houses. 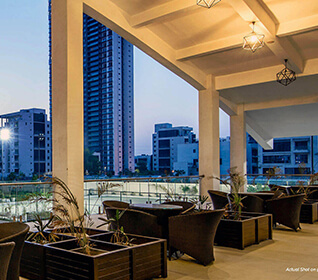 The world-class sports facilities, retail counters, health care facilities, and private parking spaces make the complex rich enough to live lavishly. The buildup area ranges from 745 sq. Ft. to 2,368 sq. 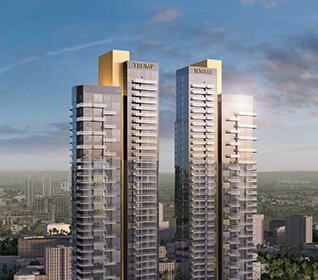 Ft. with the number of units 204 and number of floors-33. 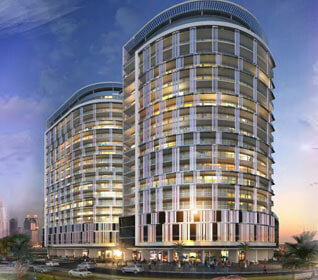 The ground level will have shopping facilities in the form of retail outlets. 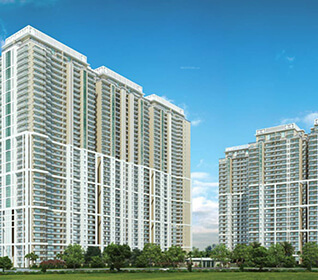 In addition to the necessities, the project is designed to provide all luxuries to the residents including swimming pool and well-equipped gymnasium. 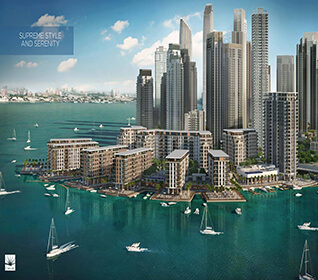 Emaar features Skydive Dubai and Dubai International Marine Club to deliver a high-standard lifestyle. Sauna and steam room are included to let you relax and rejuvenate. Doorman and video security assure the safety of the inhabitants. Smart home technology let you live a sophisticated and comfortable life. The other amenities are the high-speed internet, concierge service, residents lounge area, reception service, and infinity pool. Sheikh Zayed road has excellent connectivity to the city of Dubai. Besides for residential purposes, the location also offers a good option for future investment as it has excellent connectivity to the rest of the town. The Dubai harbor has a new terminal that can host 6000 passengers at a time. 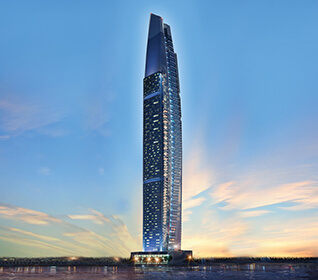 Also, this destination has Dubai lighthouse featuring a luxury hotel and an observation desk. 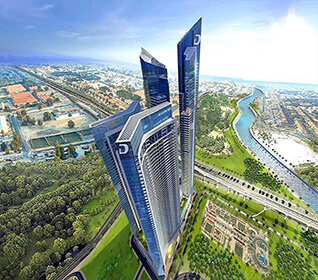 A brilliant opportunity for everyone destined to live in the iconic city of Dubai is waiting! 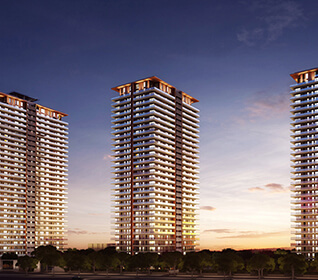 Emaar Beachfront not only offers a lavish way of life but also promises high returns in future.